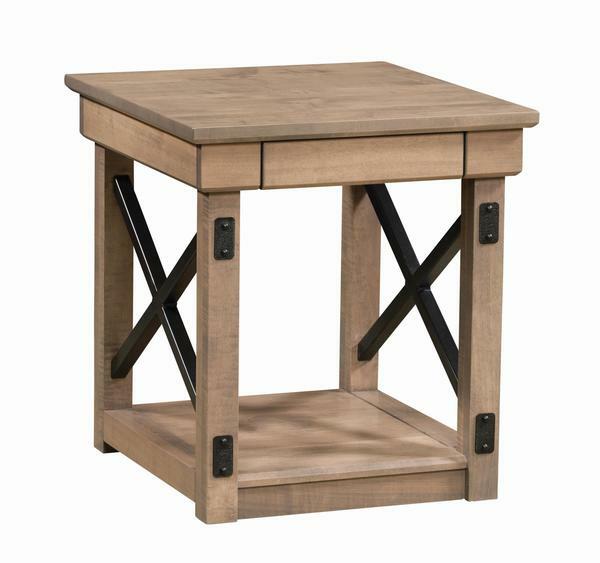 The clean design of our Amish Cambridge End Table with steel crossbars would suit an industrial, modern farmhouse, or contemporary home. The clean design of this piece is accentuated by the somewhat hidden, fully-extending drawer as it does not have hardware. A 1-inch top is built to support lamps, framed photos, books, coasters and much more. Leave the open shelf base empty or add some touches of decor. Choose from a variety of wood types and finishes to make this end table yours.